Idduki, literally meaning “narrow gorge” is a hill station nestled in the Western Ghats in Kerala. It is the epitome of southern beauty. The lush greenery and the picturesque horizon give truth to the phrase “gods own country” that Kerala is often referred to as. 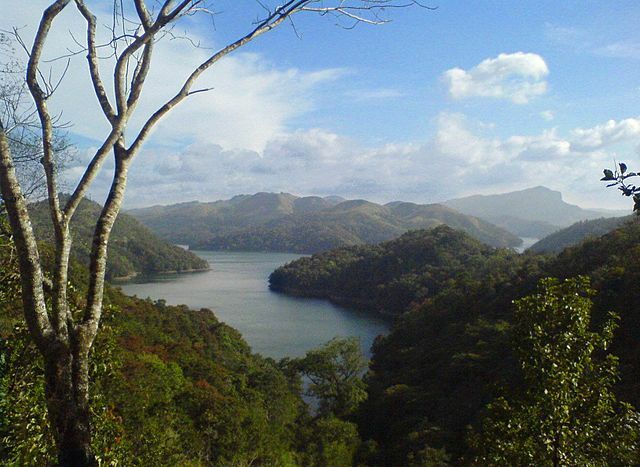 Idukki is a quaint hill station, which is ecologically rich. The air of Idduki is scented with its abundant spice plantations and its aura is of the warmth of the southern culture. The climatic conditions of Idduki are tropical and slightly on the cooler side due to its altitude. The temperature here reaches a lowest of 22.5 degrees Celsius to a maximum of 37.5 degrees Celsius. The area receives average annual rainfall of 270 centimeters. This area lies in the Tropical Zone at an altitude of 2200 meters above sea level and stretches across 5019 square kilometers. This area experiences 3 major seasons namely Summer, Winter and Monsoon. The Summer months are between April to June and the Winter months are between October to February. The best time to visit Idduki is just after the summer ends and in the beginning of the monsoon season. The landscape of the area is lush green at this time. The most major attraction of Idukki is the natural beauty. Lush greenery and the beautiful cloud cover give it a rare serenity. The tourist attractions at Idukki include the Kuthumkal Waterfalls, Observatory Hills, Chinnar Wildlife Sanctuary, Idduki Arch Dam, Idduki Wildlife Sanctuary, Mattupetti, Marayoor, Hill View Park etc. The nearest airports to Idukki are located at Cochin and Madurai, Cochin airport being 140 kilometers away and Madurai airport being 190 kilometers away. The closest railway station is located at Theni in Tamil Nadu, which is situated at a distance of 60 kilometers from Idukki. Kottayam and Charaganassey railway stations are close as well located at a distance of 95 kilometers and 114 kilometers respectively. Idukki is connected to Kodaikanal and Ooty via roadways, which are efficient and easily accessible. Idduki is connected by good roadways within and to major towns like Munnar, Kodaikanal, Ooty and Coimbatore. The KSRTC bus services ply regularly for travel within the state and private taxis can be hired easily as well. Accommodation is easily available for varied budgets within Idduki.